This Chocolate Peanut Butter Cup Pudding is so good; it’s like eating a Reese’s with a spoon. 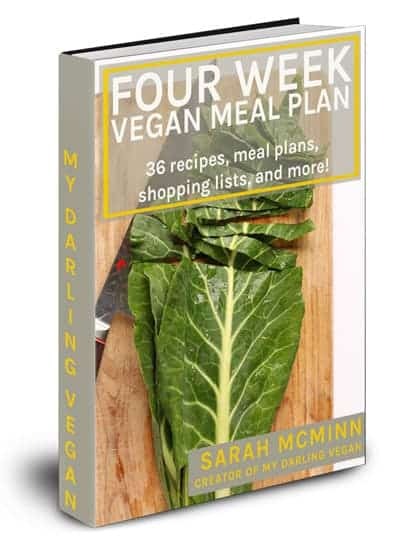 Bet yet, this vegan pudding is incredibly easy to make. Made with just 5 ingredients for a rich and decadent dessert. I know I’m on record saying that there is no better combination than that of chocolate and hazelnut but after remaking this vegan pudding recipe the other day, I’m starting to think Reece’s had it right all along. Chocolate and peanut butter truly are divine! And after trying this pudding, I think you might just agree! Made with easy to find ingredients that you likely already have on hand. 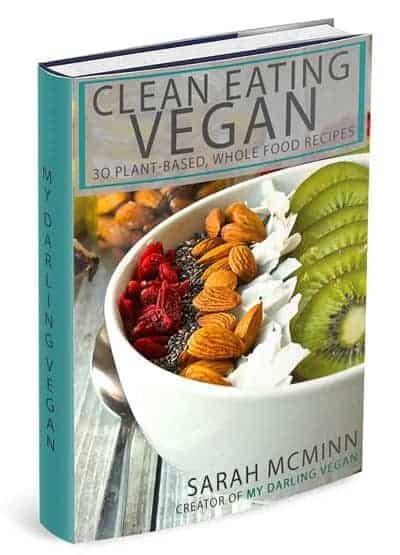 Easy to make for a beyond impressive vegan dessert. Super versatile. 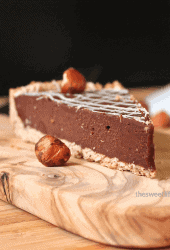 Use any nut butter for a different tasting chocolate pudding or pour it into a graham cracker pie crust for a creamy silk pie. Intrigued? Let’s dive in more! *This recipe also calls for salt, however, if your peanut butter is salted you can omit the salt from the recipe. Every once in a while I get a reader who is unfamiliar with silken tofu. 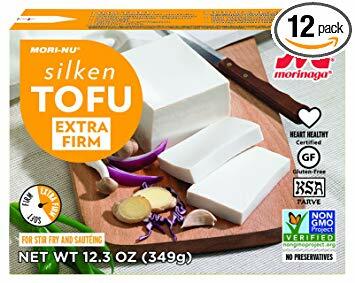 Unlike regular tofu, silken tofu has a creamy texture making it the perfect egg replacer for creamy pies such as Vegan Pumpkin Pie and Chocolate Cream Pie as well as custard-based desserts such as Lemon Bars and Classic Vegan Cheesecakes. 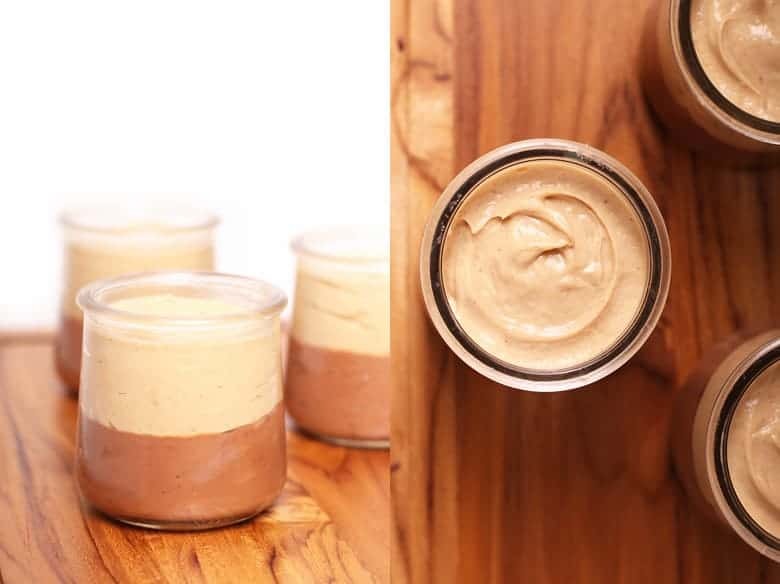 When blended, it incorporates completely with the other ingredients giving the recipes a thick and creamy (pudding-like) consistency without adding any strang tastes. Do I have to use silken tofu? Yes, for recipes that call for silken tofu, you do. Unfortunately, regular tofu just won’t work. With regular tofu, you will end up with a grainy base with tofu chunks that just never break down. It’s not good. Believe me, I’ve made this mistake. Regular tofu is in the refrigerated section at your local grocery stores, but don’t be fooled! Vacuum-packed silken tofu is shelf stable so it is typically found on the shelf, often in the International aisle near the Asian foods. Look for a box that looks like this. Make sure to buy firm or extra firm; this is important for getting the correct pudding-like texture. If you can’t find it at your local grocery store, you can always pick some up online. 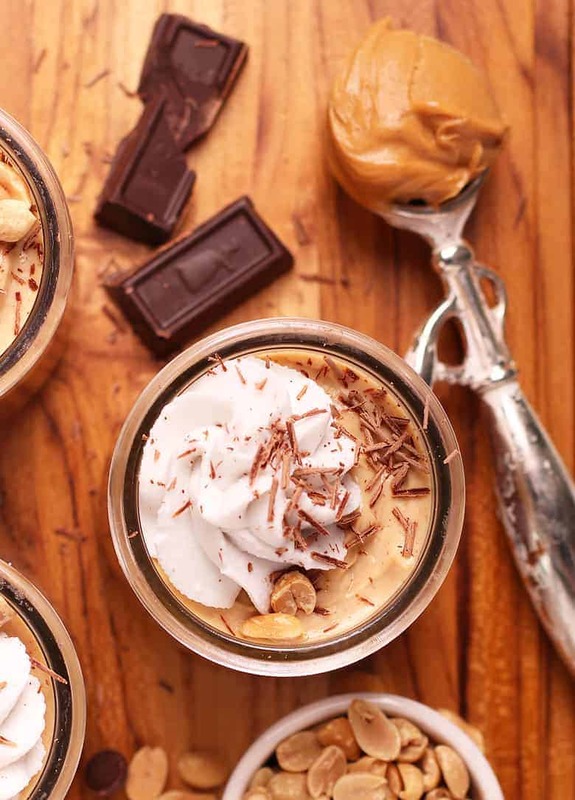 Okay, now that we’ve talked about tofu, let’s talk about how to make this Chocolate Peanut Butter Pudding. The first step in making this vegan chocolate pudding is to melt the chocolate. Melting chocolate can be tricky for new bakers, so let’s talk about the basics for melting chocolate. My preferred method of melting chocolate is by using a double boiler. You do not need to buy a double boiler. Rather place a tightly fitting metal bowl over a saucepan (pictured below) and use it as such. 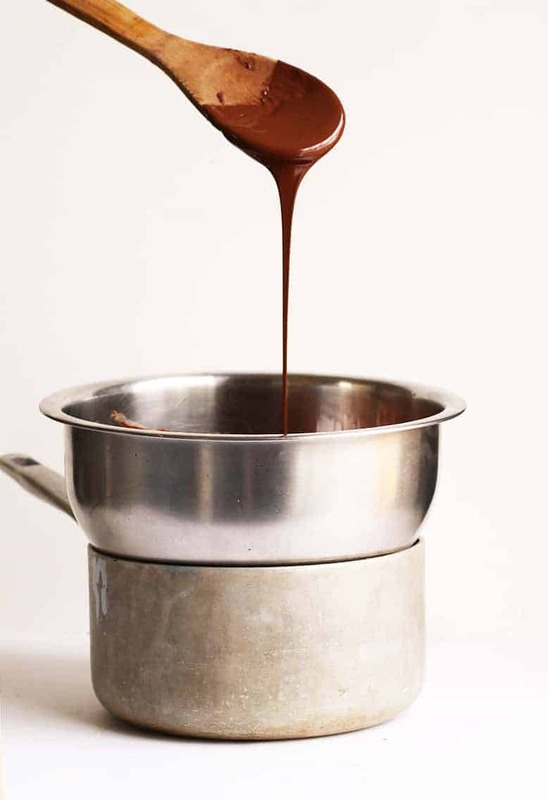 To gently melt the chocolate, place a dry clean bowl over a saucepan that’s filled with about 2 cups of water. Bring the water in the saucepan to a boil, remove it from heat, and add chocolate chips to the bowl. The chocolate should not directly be touching the heat. It will melt by the steam of the water. Let the chocolate melt for 5 minutes before stirring it with a plastic spatula. Do not put chocolate on direct heat. Chocolate will burn very easily. Let the chocolate melt from the steam of the water. Do make sure all your equipment touching the chocolate is dry, specifically the bowl and spatula. When water interacts with melting chocolate, it will seize up resulting in lumpy chocolate. Do not overmix your chocolate. Let it sit in the steam bath for at least 5 minutes before gently turning it over. Agitated chocolate will also seize up and become lumpy. If you are melting your chocolate in a microwave, microwave it at 20% power, 10-15 seconds at a time, stirring in between, to prevent chocolate from burning. While your chocolate is melting, place the silken tofu, non-dairy milk, and vanilla extract in a food processor and blend until completely smooth. With the motor running, pour the chocolate into the tofu mixture in a slow and steady stream. Blend until completely smooth. 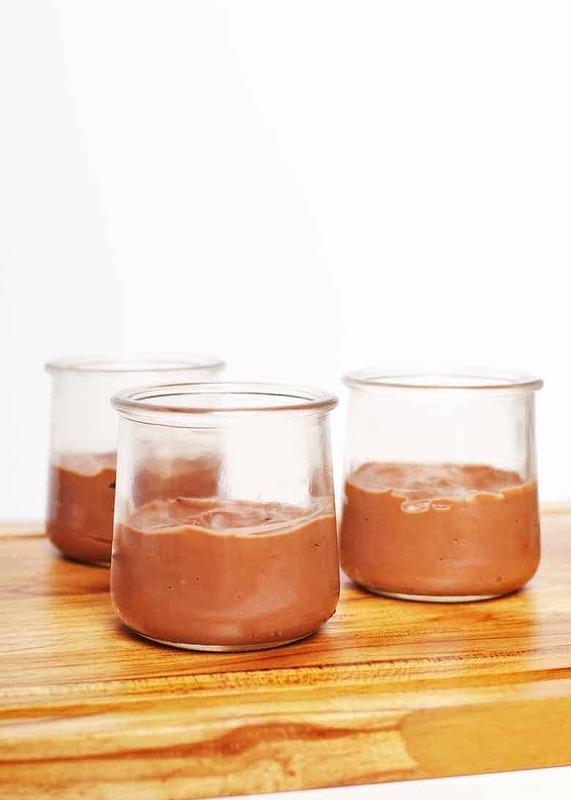 Spoon the chocolate pudding in the bottom of 4 pudding jars. Place the pudding in the refrigerator to set up while making the peanut butter layer. Clean out the food processor and add the remaining tofu, peanut butter, maple syrup, and salt (if using). Process until completely smooth and then spoon the pudding over the top of the chocolate pudding. Tap the pudding jars a few times on the counter to release any air bubbles and place them back in the refrigerator to set up for at least one hour. To serve the pudding, serve it as is or top it with coconut whipped cream and chocolate shavings. 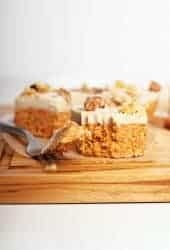 Serve it as a wholesome midday snack or as a decadent dessert. For best results pudding should set up for at least 1 hour although, it can be eaten within 30 minutes for making. Leftover pudding can be tightly wrapped in plastic wrap and stored in the refrigerator for up to 3 days. Can this pudding be made into a vegan cream pie? Yes! This Chocolate Peanut Butter Pudding makes an incredible cream pie. To make into a pie, first, make a graham cracker pie crust. Layer the crust as you would the pudding cups and let the pie set up for at least 2 hours in the refrigerator before serving. Follow these instructions for a more detailed guide. 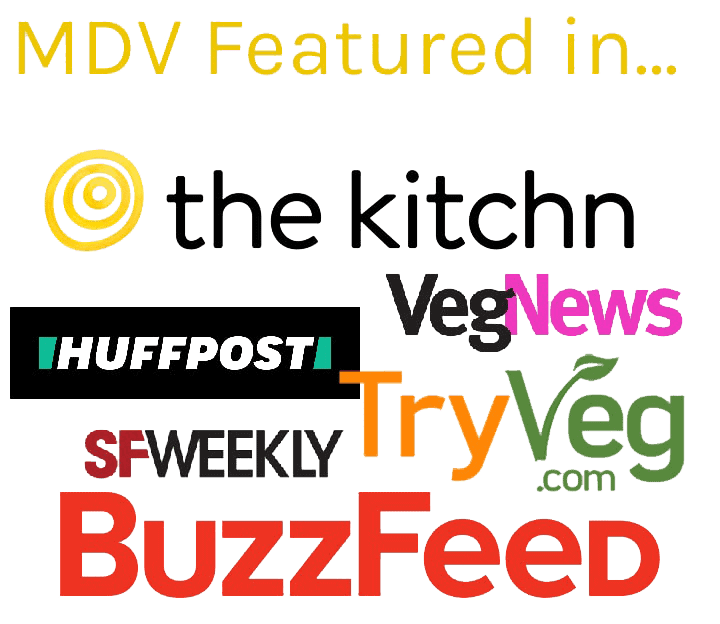 That’s all you need to know about the vegan pudding recipe. Let’s take a look at the recipe card below! This Chocolate Peanut Butter Cup Pudding is so good; it's like eating a Reese's with a spoon. 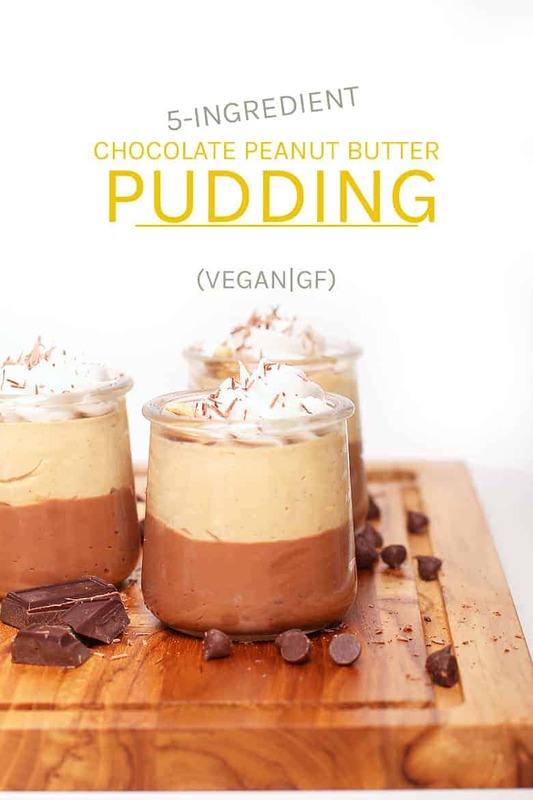 Bet yet, this vegan pudding is incredibly easy to make. Made with just 5 ingredients for a rich and decadent dessert. Gently melt the chocolate chips in the microwave or a double boiler. 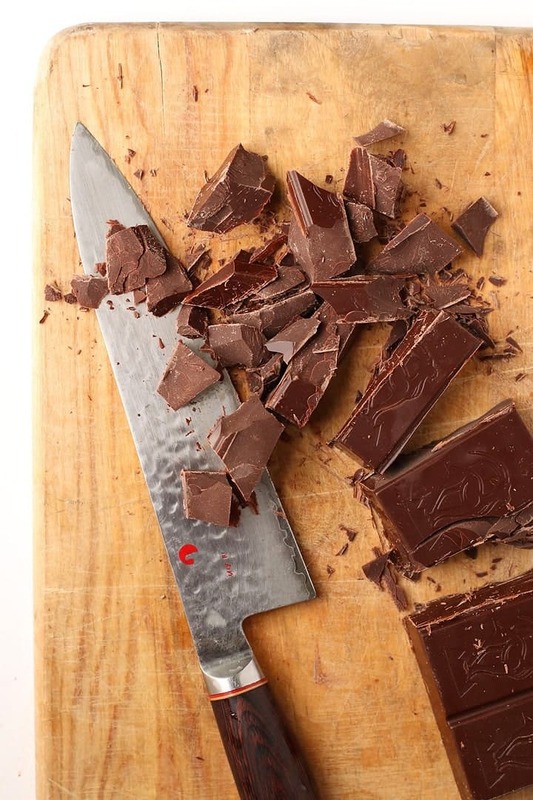 Chocolate should be smooth and silky. While your chocolate is melting, place the silken tofu, non-dairy milk, and vanilla extract in a food processor and blend until completely smooth. With the motor running, pour the chocolate into the tofu mixture in a slow and steady stream and process until completely smooth. Divide between four pudding jars. Tap to release any bubbles and place in the refrigerator while making the peanut butter layer. 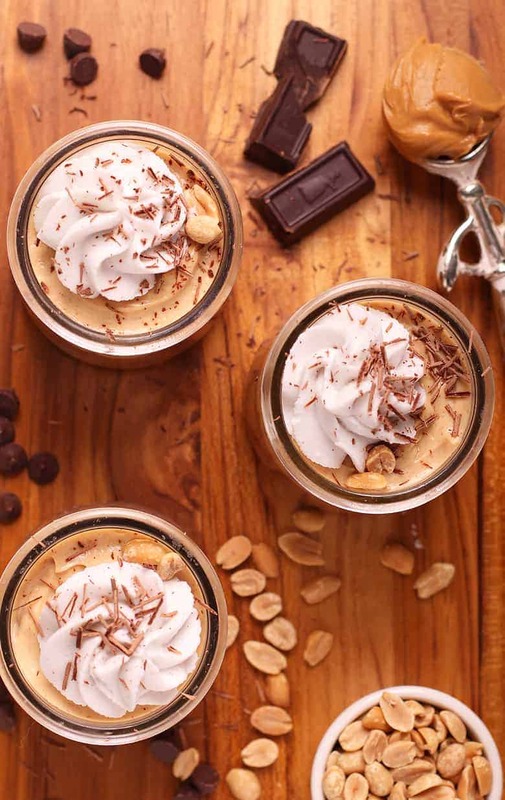 Combine all the ingredients for the peanut butter pudding in a food processor and blend again until completely smooth. 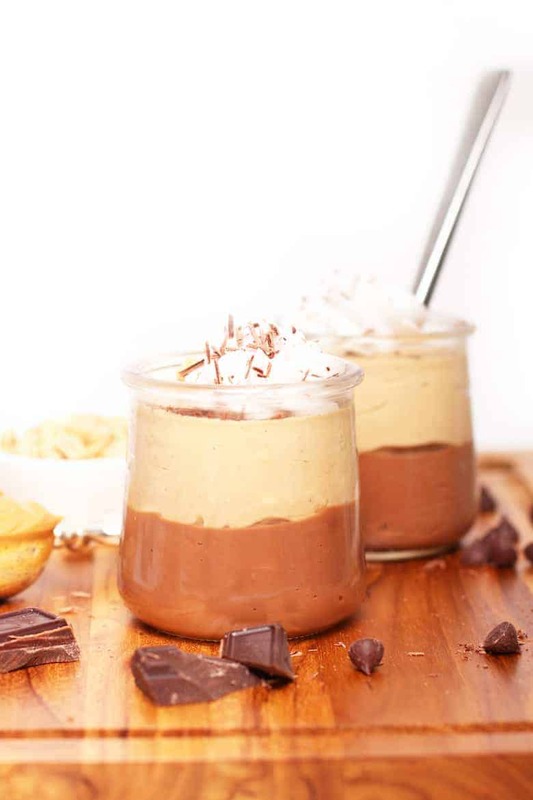 Spoon the peanut butter pudding over the chocolate pudding and return to the refrigerator for at least one hour. Top with coconut whipped cream and chocolate shavings if desired. Serve chilled. Leftover pudding can be stored in an airtight container in the refrigerator for up to 3 days. We have a peanut allergy in our house – any idea if other butters can be used (almond, e.g.)? I may do some experimenting along those lines. Yeah, almond would be a great substitute! Any way to make this using cocoa powder? Turned out really well. Everyone raved! What kind of tofu do you use for this recipe? Soft, firm, water packed? Silken (doesn’t matter if it’s water packed or vacuum packed) firm. I’ll clarify the firm part in the recipe. Thanks for pointing that out. So I made this yesterday, and not only was it very easy to make, it was, quite possibly, one of the yummiest things I have ever eaten in my life. Two thumbs up! Wow, those look delicious, and the layers are so pretty too! I suddenly have 3 jars of PB in my house due to a recent week-long guest and also a container of silken tofu. Thanks for giving me something productive and delicious to do with them! A girl after my own heart love thus combo; so happy you were able to spend some tine with Eden along with creative time in the kitchen, can’t wait to read about your thoughts on you week unplugged! 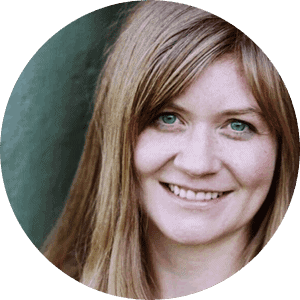 I will definitely be writing stuff down…just not sure how interested my readers are in reading about it. But I probably will post it. It’s crazy how quickly I’ve become hooked. I think I’m going to unplug 4x a year because it scares me how connected I am to all things internet. OMG…peanut butter chocolate. YUM! 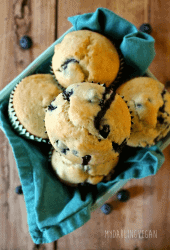 I love this recipe…I haven’t even tried it yet, but I love it!! Definitely want to whip this up!! i can't even imagine how awesome these puddings taste together. and gorgeoussssss photos, lady! I don’t think there could be a more perfect pairing than peanut butter and chocolate! Thanks, Emma. It was a great week!